It was déjà vu for the Dodgers, who made their second consecutive visit to the World Series, and then lost once again, four games to two, to the New York Yankees. 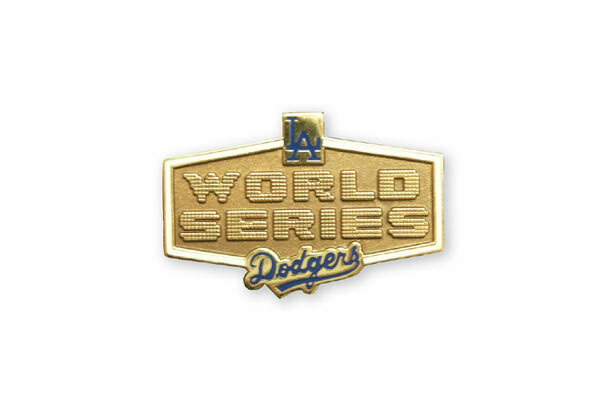 To reach the World Series, the Dodgers also defeated the Philadelphia Phillies in four games, as they had in 1977, three games to one. Shortstop Bill Russell delivered a clutch single to win Game 4, 4-3 in 10 innings and the N.L. Pennant at Dodger Stadium. Russell remained hot in the World Series batting .423. 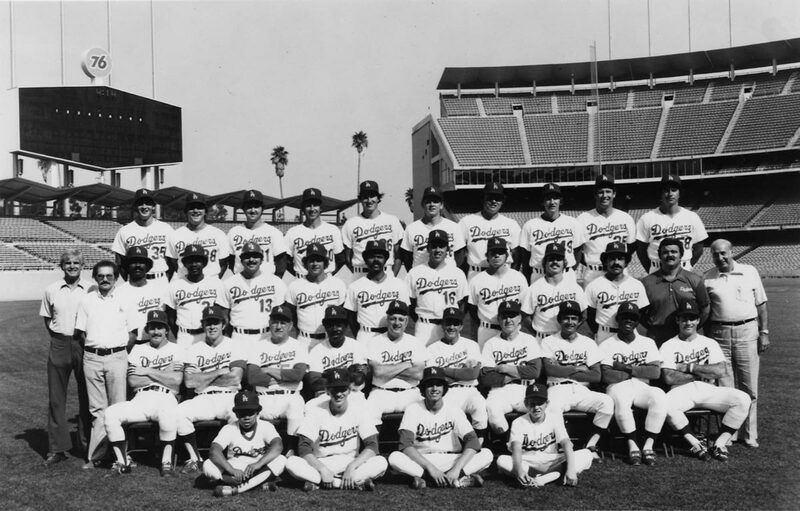 Similar records on the field, but different, in that the previous season the Dodgers had four 30-home run sluggers and, in 1978, not one Dodger was able to reach that total. 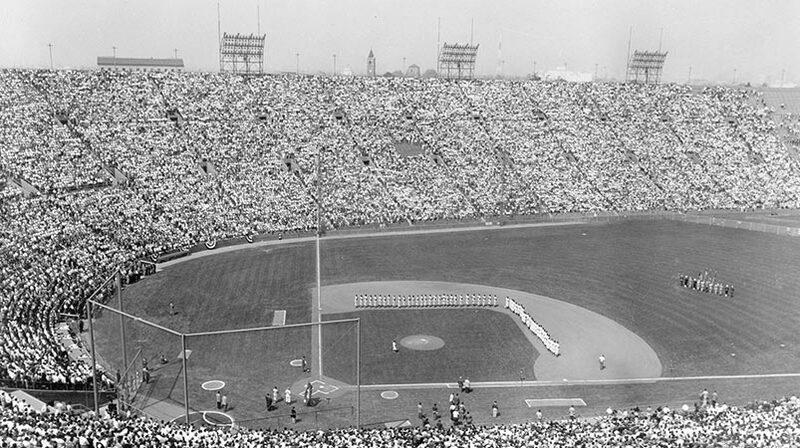 The Dodgers had amazing success at the turnstiles as a then-major league record 3,347,845 fans attended games at Dodger Stadium. Tragedy marred a successful season, as likeable coach Jim Gilliam passed away on October 8, just nine days before his 50th birthday. The Dodgers wore a black patch on their sleeves to honor No. 19, who was an integral part of the organization for 28 seasons. They also established the “Jim Gilliam Award,” the team’s MVP in the World Series. By June, the Dodgers had fallen behind San Francisco and Cincinnati by six games and they would move back into first place for two months. 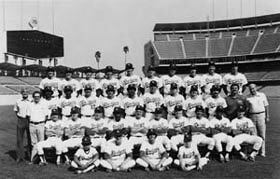 One of the stalwarts of the pitching staff was rookie right-hander Bob Welch, who was called up from Albuquerque (Triple-A) in mid-June and immediately helped the Dodgers to bounce back with a seven-game winning streak. 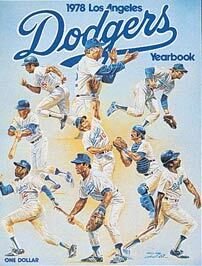 It was Welch’s 12-2 win over the Giants on August 10 over Vida Blue that brought the Dodgers into a first-place tie. He was again on the mound for the N.L. West clincher against San Diego, 4-0, on September 24. That put the Dodgers up by 7 1/2 games, but they held on to win by just 2 1/2 games. One of Dodger Stadium’s most memorable moments came in Game 2 of the World Series as Welch struck out Reggie Jackson with two outs and two runners on in the ninth inning to save the Dodgers’ 4-3 victory. Outfielder Reggie Smith finished with 29 home runs and 93 RBI, despite missing 28 games due to a variety of injuries and sickness. First baseman Steve Garvey had one of his finest seasons, as the All-Star collected 202 hits (his fourth straight 200-plus hit season), 113 RBI and played in all 162 games for the third consecutive year. Second baseman Davey Lopes flexed his muscles to belt 17 home runs and he stole 45 bases in 49 attempts. Sure-handed shortstop Bill Russell hit .286 and third baseman Ron Cey added 23 home runs. The pitching staff got a big boost from left-handed reliever Terry Forster, who recorded 22 saves. In his last 10 appearances, he pitched scoreless ball. Right-hander Burt Hooton was 19-10 and finished second in balloting for the N.L.’s Cy Young Award. Meanwhile, old reliable Tommy John was 17-10 and had the first of the Dodgers’ two initial World Series victories in Los Angeles against the Yankees. Steve Sax and Mike Marshall were chosen by the Dodgers in the 1978 June Free Agent Draft. 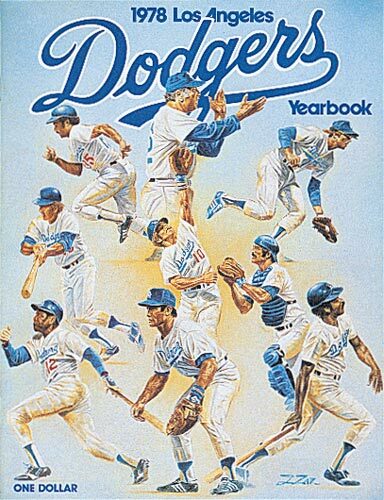 Click image for a larger view1978 Dodger YearbookCopyright © Los Angeles Dodgers, Inc.
Click image for a larger view1978 DodgersCopyright © Los Angeles Dodgers, Inc.